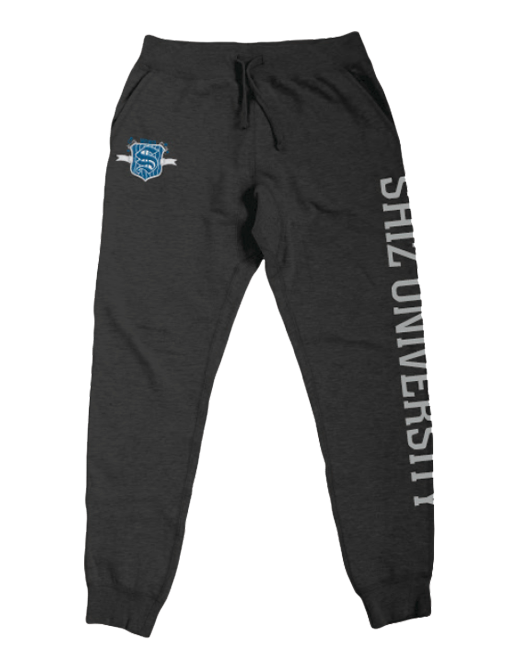 Live your days as a student at dear old Shiz in these charcoal scholarly joggers. These feature a unisex fit, ribbed bottom cuff and waistband with drawstring. 80% Ringspun Cotton, 20% Polyester. Printed in California, USA.